You would assume that dealers selling high-end cars would be less inclined to try to take advantage of folks on that level because they understand it’s bad for business. This bonkers lease, though, goes to show that even wealthy buyers have to run the math. I got a tip from someone who tried to acquire an exotic car and thought the payments were a bit high given that he was leasing it and not buying it. So I requested a copy of the quote myself and what I saw absolutely stunned me. The vehicle in question is a 2012 Audi R8 4.2 with a manual transmission with a purchase price of just under $100,000. The first thing you will notice on this sheet that is surprising is the term of 60 months, since, usually, someone financing a car for five years would not be leasing it. In this case, that ends up being the tell, because, despite the fact that the monthly payments on this car are $1,448, it says that at the end of those 60 months there is a “purchase option” for a whopping $38,500. I was curious as to why someone with sizable income and good credit would have to pay so much for a used exotic car, and, of course, the devil was in the details. This particular lease is known as a “balloon lease” which is often pitched as some kind of hybrid between leasing and buying. Often there are no mileage restrictions, and unlike regular leases that have to be carried until the end of the term, some of these balloon programs will allow the lessee to give the car back at any time during the term. Naturally, there is a price to pay for this flexibility and convenience, and it is a hefty one. The leasing firm provided an amortization schedule for how these payments breakdown month by month, showing how much you’re paying in interest and principal. This particular lease front loads a massive amount of interest early on in the lease and then scales it back as the lease gets to the end of the term. This is very similar as to how home loans work. The difference is at the conclusion of a home loan, you don’t have a balance. As you can see, in the first 15 months the lessee is getting hammered with interest, with the first few payments saddled with almost 60 percent of it! Eventually, though, it does taper off, though in the end the overall average still works out to almost 23 percent of the original purchase price. At the conclusion, this person would have paid a total of $86,880 in payments ($1448 x 60) plus the down payment of $10,566, while still having a balance of $38,500 if he wanted to own the car. 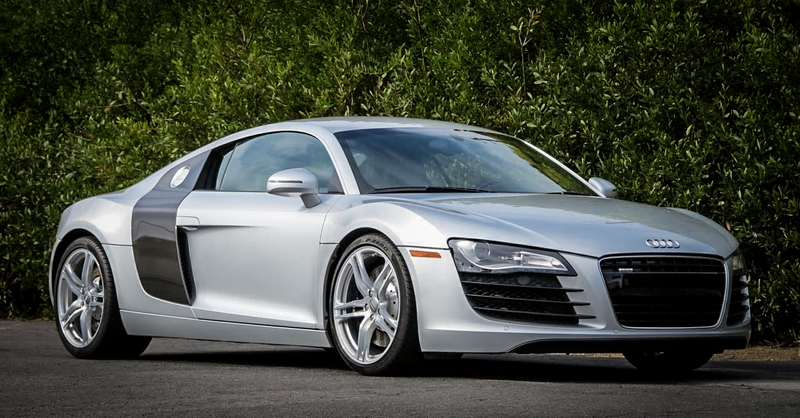 They would also be on the hook for any repairs and maintenance on a 2012 R8 that is well beyond the warranty period. Suppose, though, he used the down payment to cover the tax and fees and financed the balance of the $99,950 at 60 months with an interest rate of 3 percent. Their payments would have been $1,796 a month, which is a bit more, but at the end of the term, they would own the damn car. Of course, the reason people lease these types of cars is because they don’t expect to hold on to them very long and they are looking for the lowest cost of ownership during that term. The thing, though, about a used exotic car like an R8 is that the depreciation curve levels out after the first few years. So if you bought a 2012 R8 now and sold it in three years the difference between the original purchase price today and what they would likely sell it for three years from now would still be way less than the total of the first three years of this crazy lease. Not everyone has the cash to plunk down on a brand new exotic car, and pre-owned versions can be picked up for an awesome value. But even if you are buying something of this caliber and price, go armed with a calculator to make sure you aren’t getting hosed on the deal.